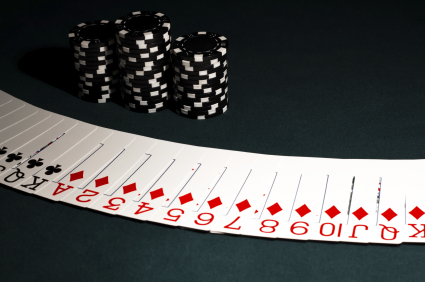 Real-world or online poker – Which is better? The great game of poker has spiked in popularity in recent years, and the growth of the online casino world has helped its ascension. Playing online tournaments has never been easier, and it has served to introduce many new players to the cause. But some more seasoned players will argue that it just can’t match the thrill of a traditional sit-down game of poker where you can look your opponents in the eye. When poker first moved to a computerised, online format many people were outraged. How could a game of psychology, where the aim was to best your opponents through superior reading of the game, translate to a format where your opponents were invisible? A lot of these traditionalists soon found that they were eating their own words as they realised that the new format caused people to think about the game in different ways. People began to develop new strategies that can be applied in the real or online world. For instance, in the online world, because you can’t see your opponents, you need to try and work out if they are bluffing depending on the amount of money they choose to bet, or how long they consider what they are doing. There are plenty of obvious benefits to playing poker online. The main one is that it is so easy to join a game or tournament at any time of the day. Just a few mouse clicks will take you to hundreds of tables online. And some things that are offered at sites like 32red, PKR and 888poker aren’t available in a real world casino. Things such as the 24/7 help centre, or the information boards about previous winners are all useful features in the online world. A lot of people like online poker because it is faster. At sites like 32red and others the cards are electronically shuffled and dealt at speed, and each round of betting tends to be quick fire. Playing poker online is good for people who want to find a table easily at any time, play a lot of hands, and work the games around their own schedule. But what about the mind-games and looking your opponent in the eye while you produce that match-winning bluff? It is true there are some aspects of poker that the online world can’t replicate. The online world takes away a lot of the psychological battles that come about when sitting down at a table where you can see your opponents. That doesn’t mean to say that online players don’t get frustrated by their fellow card players, they do. But in real life it helps to add to the tense and thrilling atmosphere when there is a visible showdown between two great minds happening. And what about the excitement that rushes through your body as you physically push your entire stack into the centre and make an all-in call? It is true that some aspects of playing poker in the real world can’t be matched. But the online world is a great place to play more games, practice, and hone your skills. At the end of the day, poker is enjoyable however, or wherever it is played.